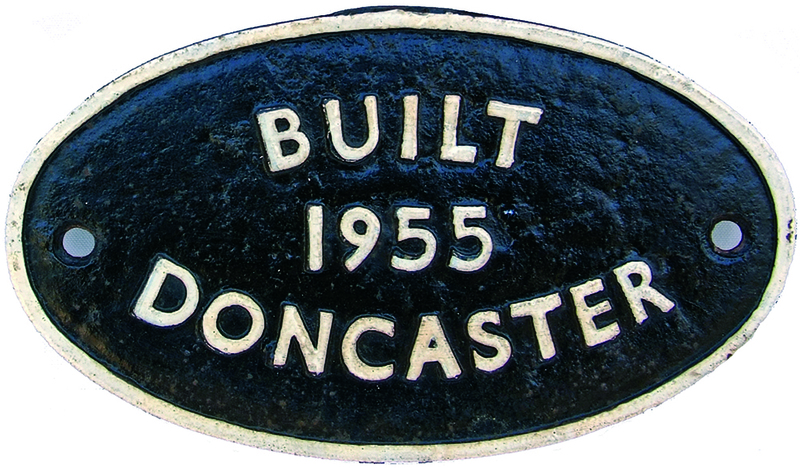 British Railways cast iron oval Worksplate Built Doncaster 1955. Ex BR Standard Class 4-6-0 locomotive numbered 73119 and named ELAINE. Built in December 1955, it was one of the last BR Standard class 5's in service on the Southern Region and was withdrawn from Eastleigh in May 1967 and scrapped at J.Cashmores Newport. Face restored back ex loco with the number 73119 painted.